The 17th International Vasculitis and ANCA Workshop, the largest in the series to date, was hosted by Imperial College London and attracted around 600 delegates – clinicians, scientists and healthcare professionals – from around the world. The Workshop programme consisted of 2 keynote lectures, 2 industry sponsored lunchtime satellite symposia, 6 plenary and 15 parallel sessions with a mixture of invited speakers and 95 short oral communications. The oral communications were selected based on scientific and clinical merit from amongst the 257 submitted abstracts and the poster sessions included two moderated posters sessions. The extremely successful sponsorship drive ensured that the workshop generated a substantial profit a part of which will act as working capital for the 2017 event in Japan, but equally importantly a large part of the profit will be invested into research and patient advocacy worldwide. As part of the Workshop Secretariat Services, BioMedEx provided online registration, abstract submission and onsite management services as well as website design, event identity design as well as sponsorship and exhibition management services. The second BNA Festival of Neuroscience was attended by 1,400 delegates, 30% of whom were from overseas, and 270 international invited speakers, thus surpassing the initial delegate target of 800. The scientific programme included 7 plenary lectures, 50 parallel symposia and 8 special events plus 3 poster sessions with a total of 726 poster presentations. The Festival was supported by 17 sponsors and the concomitant trade exhibition attracted 59 exhibitors. A public outreach programme had been developed alongside the Edinburgh International Science Festival 2015. In its role as the appointed conference secretariat, BioMedEx Ltd was responsible for all aspects of the event planning and execution, including registration, abstract submission, speaker liaison, venue and third party supplier liaison, conference materials, website updates, exhibition and sponsorship management as well as accommodation booking and management of the social programme consisting of welcome reception, VIP Speakers dinner and a student Ceilidh at the University of Edinburgh Student Union. This event was attended by over 300 delegates from around the world and included social events such as a reception at the Houses of Parliament and a conference dinner at London Zoo. The inaugural International Meeting of the LaRP Society (September 2010) took place at the W12 Conference Centre at the Hammersmith Campus of Imperial College and was chaired by Dr Sarah Blagden, Senior Lecturer / Honorary Consultant Medical Oncology, Director of Phase I Cancer Trials, Imperial College, London. The second meeting (September 2012) was held in Banyuls-sur-mer (France). The 3rd International Meeting of the Society was held at the Airlie Conference Centre, Warrenton, Virginia, USA. The LaRP Society meetings are small 2-day meetings with a workshop atmosphere and are attended by delegates from around the world. As part of the Conference Secretariat services for these meetings, BioMedEx provided the online registration, abstract submission and onsite management services as well as all graphic design work. The CR UK-SAC Conferences were typically one-day conferences consisting of plenary sessions, including panel discussions, and up to 8 parallel workshop discussion sessions and a small sponsors’ trade exhibition. These conferences had an average attendance of 180 delegates and 30 invited speakers, as well as workshop session chairs. While BioMedEx developed the branding for the CR UK–SAC Conferences, we ensured that the branding of all CR UK-SAC Conferences printed materials as well as the conference website reflected the CR UK corporate banding and identity. The 3-day 2nd International TNBC Conference 2013 (Church House, London, 26 to 28 June 2013) followed on from the very successful 1st International TNBC Conference, which had been held at the Royal Society in London in March 2011 and had been attended by 20 invited international speakers and 230 delegates, with 70 submitted abstracts and 10 exhibitors participating in the trade exhibition. The Physiological Society awarded BioMedEx Ltd the registration, sponsorship and trade exhibition management contract for the IUPS 2013 Congress. The Congress was attended by 700 invited speakers, 3,069 delegates from 87 different countries and 60 exhibiting companies. The Congress consisted of over 100 symposia (11), 26 Keynote Lectures (3) and 7 plenary lectures. The exciting social programme featured performances from GI Distress, a lone Scottish piper, a Welsh male choir, an Irish Ceilidh band and food from the 4 home nations. BioMedEx had previously worked with the Physiological Society on the Life Sciences 2007 Exhibition. 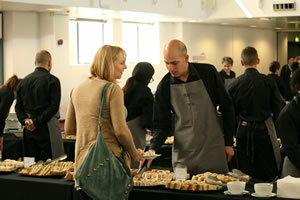 BioMedEx Ltd worked with the ECSCRI on the inaugural ECSCRI Conference. In addition to developing the ECSCRI Conference website, BioMedEx provided the online registration management and abstract submission management services for this conference. The APPGC-BAC conference typically is a one day conference, with the exception of a two day even in 2002. The conference consists of plenary sessions, up to six parallel sessions and a small exhibition with approximately 12 exhibition stands. It is attended by between 450 and 600 delegates plus around 30 speakers. 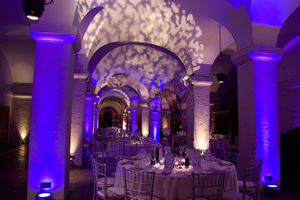 Social events have included post-conference receptions in association with the Cancer Campaigning Group and speakers’ dinners. As part of the Conference Secretariat services for the APPGC – BAC Conferences, BioMedEx provided the online registration and onsite management services as well as exhibitor liaison services. These two-day conferences consisted of 5 plenary sessions, up to 14 parallel sessions (one of which was a live debating session), poster sessions and trade exhibitions with 32 exhibition stands and a conference dinner. The conferences had an average attendance of 92 invited speakers and 350 delegates, who received CPD accreditation through The Royal Colleges of Physicians. As part of the responsibilities as the Conference Secretariat, BioMedEx developed the logo for the Wales Cancer Institute, was responsible for branding of the Wales Cancer Conference including all conference materials and managed online registration and abstract submission facilities as well as the conference website. BioMedEx Ltd continued to work with the Physiological Society on the trade exhibition for the IUPS 2013 Congress and provided sponsorship and exhibition management services for the Annual Meeting of the Physiological Society for Physiology 2014 to 2016. Physiology 2016 29 to 31 July 2016, Dublin, Ireland) will be hosted jointly by The Physiological Society and The American Physiological Society. 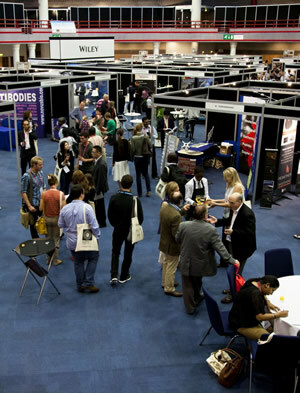 BioMedEx Ltd has long term working relationship with the British Toxicology Society, having provided exhibition management service for the BTS Annual Congress from 1999 to 2015.Following the restructure of the society secretariat, the BTS have taken exhibition management in-house in July 2015. The British Pharmacological Society approached BioMedEx to manage the exhibition of their annual Pharmacology conference in 2014. BioMedEx succeeded in selling all available sponsorship packages and in significantly increasing the number of exhibitors. The BTS hosted the 50th EUROTOX Congress at the Edinburgh International Conference Centre (EICC) in Edinburgh in 2014 for which BioMedEx Ltd managed the trade exhibition which was a sell out and was attended by 51 international exhibitors. Due to the high demand, the exhibition area had to be extended three times. For eight years, BioMedEx managed the Exhibitions of the National Cancer Research Institute (NCRI) Cancer Conferences (from 2005 to 2012), annually selling between 67 and 100 exhibition stand and promotional marketing packages. BioMedEx’s in-depth understanding of the NCRI’s needs in developing a high quality cancer research conference and our expertise and long standing relationships with exhibitors and sponsors was instrumental in establishing the NCRI Cancer Conference Exhibition as a ‘must attend’ event in the exhibition calendar. Prior to the NCRI Cancer Conference Exhibitions, BioMedEx managed the exhibitions for the British Cancer Research Meetings (BCRM) for six years (from 1999 to 2004) and the British Association for Cancer Research (BACR) for 2 years (1997 to 1998). BioMedEx has continued to work with the BACR throughout the years and in 2010 managed the Trade Exhibition for the BACR 50th Anniversary Conference (13th to 15th June 2010, Edinburgh). The Biochemical Society, the British Pharmacological Society and the Physiological Society awarded BioMedEx the trade exhibition management contract for Life Sciences 2007 Exhibition after the extremely successful BioScience Trade Exhibitions from 2004 to 2006 (over 70 exhibitors per exhibition). BioMedEx Ltd continued to work with the Physiological Society on the trade exhibition for the IUPS 2013 Congress and provided sponsorship and exhibition management services for the Annual Meeting of the Physiological Society for Physiology 2014 to 2016.